I’m up early today, I can’t sleep. OI Girl went to Cayman Brac for the weekend. This was the weekend we both asked for time off for a Costa Rica charter, but it got canceled. She didn’t want to stay here, after she had her heart set on going somewhere, also she thought it would be a good idea to to take a break from me. Yesterday my filling broke again, remember, the big one that I barely dodged the root canal with? I tell you, lately it’s just one thing after another. I’ve always considered myself to be healthy and strong, I am not ready to make a transition to sickness and weakness. Now I have to get my tooth fixed. That’s two days. I have a lot of appointments already to get ready for the surgery. I don’t have time for a toothache. What’s the message I’m supposed to be getting? Today is a sea swim. A week from now, I’ll be bedridden in the hospital. . .
A week from today I go to the hospital for my operation. Its getting set up to be the worst weekend of my life, two days minimum in the hospital. No diving, swimming, DRIVING or lifting anything heavy for FOUR weeks! I can swim now, before the operation, but after. . . nope. They’re gonna cut me open like a fish and sew me up and put a screen in me. Another day in my boring life. Like I always say, boring is good! Yesterday at the doctors I saw my guts, and I saw my prostate, and I saw the blood flowing in my veins. It was gross. Today I go to see the surgeon, I want to get it done as soon as possible. this weekend, the OI Girl is going to the Brac. We were goin to Costa Rica, but the charter got canceled. I’m keeping my weekend off that I asked for months ago. This weekend is a half mile sea swim. The doctor said I could swim and it doesn’t bother me when I do. So I plan on swimming. There is still a two mile and the Pirates week 3 mile. I think that’s it for this year. This afternoon is my appointment for an ultrasound to look at my hernia. Tomorrow is the consultation with the surgeon. I want to get this done with as soon as possible. Today is payday, thank gawd! Last night, because I’m so broke, the OI Girl took me out on a hot date, dinner and a movie. We saw Oceans 13. It was good. Worth it. today is payday, I have to pay some bills. Nothing much. I slept a lot, so much I felt like I was wasting my life. It was mostly cloudy anyway, and it was a good weekend for sleeping. Yesterday The OI Girl and I went to her friends house, they might be taking care of our dawg when we go to the US, but we’re not sure . . . They have a fenced yard with a big hole in it, and there are too many people there. Something could happen and no-one would be responsible. We have another friend who would be much better. OI Girl’s gonna ask him today. It’s weighing heavily on my mind whether I should tell you this or not. 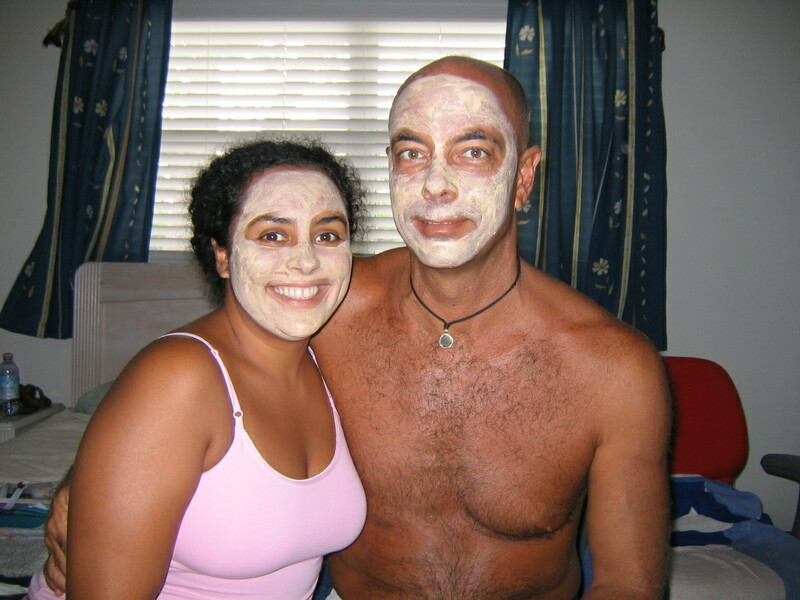 OI Girl gave me a mud mask this weekend. It was a first time experience. Not my idea, I was bed-ridden, helpless and weak. She forced me, as you can tell from this photo. Quite frankly, I don’t think it did any good. But it was a weird feeling washing it off. I normally use engine degreaser on my large forehead. I think the OI Girl enjoyed it more than me. Maybe not. The stuff I have to put up with! I tell ya! 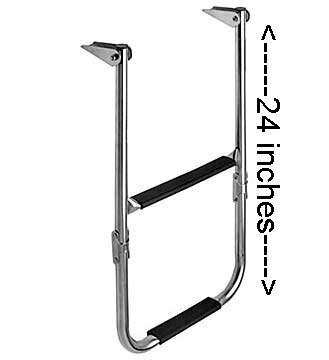 Here’s a pic of a ladder just like it that I found on the internet. I fell back in twice, trying to switch a hand from the ladder to the boat, but I didn’t ever think I did anything to hurt myself. But that’s all I can think of that happened. My instinct tells me that it will be a lot longer than two weeks before I’m diving again. I hope I’m wrong. The OI Girl is still sleeping, I think I’ll make her breakfast in bed. Today I’m going to the doctor. It feels like somebody kicked me in the nuts, and it hurts when I cough or sneeze. it’s almost lunchtime and I haven’t posted yet! I thought I already did! too bad I have nothing to say. I’m looking forward to the weekend already. payday is next week! I’m broke! Today is hump day. In more ways than one. Not only o is it Wednesday, humpday of the week, it is also the longest day of the year. Starting tomorrow, the days start getting shorter again and we swing towards winter. I like the longer days better. Day before yesterday, I went swimming. 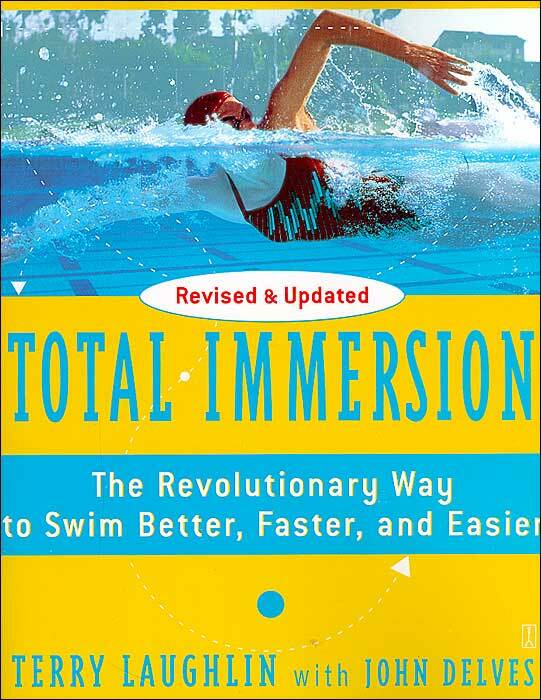 I practiced some drills in a book, Total Immersion. Yesterday when I swam, it was like I had forgotten how to swim, I couldn’t figure out how my stroke should be to be at it’s best. And it felt like I got very tired very easily. My time at the end was OK though. I think I need some swimming lessons.